Sunday, I took Sabrina to see Cinderella at the New York Theater Ballet. We were both very entertained by the stepsisters, played by guys in drag. As the ballet went on, I realized exactly what was missing from my life: a special needs fairy godmother. I so needed one yesterday, when all of this Max stuff had amassed into a towering pile of to-dos. I had to call back a physical therapist who might start seeing him on the weekends. I had to get in touch with our local Boy Scouts troop leader, because Max is still hesitant to venture into the Cub Scouts meeting in the big church and we need to figure out what else we can do (I'm thinking hold a meeting at our house). I had to call the insurance company and harass them about not paying bills. I had to review a thumbnail drive Max's school sent home with videos of Max eating and suggestions that two feeding specialists have, as he tends to swipe his spoon to the side of his mouth when he puts it in and food falls out. I had to call back the president of a local congregation because a mutual friend had put us in touch after he heard I was trying to find a temple that had programming for kids with special needs. Along the way, I called six diferent Cold Stone Creamery stores to see if they make the Cars 2 PhotoCake Max is obsessed with and it turns out it's done with this special technology that nobody near us has and this very nice cake designer emailed me to say she might be able to make some semblance of it but it would involve getting the Cars 2 image and taking it to a local supermarket who would copy it onto rice paper as an edible image and all I could think was THAT'S EXACTLY WHAT I NEED IN MY LIFE, FIGURING OUT HOW TO GET AN EDIBLE IMAGE MADE. Oh, and Max's iPad got messed up (it was dropped, we're not sure when) and we replaced it with a refurbished model and needed to upload the Proloquo2Go speech app again and his speech therapist at school was helping only something wasn't quite synching up and emails were flying around. And, yeah, I had work to do. Then I did that awful thing whereby you start thinking about every single thing you have to do—prep for Thanksgiving and figure out Max's birthday gift and order holiday cards and buy holiday presents and teacher gifts and plan winter vacation!! !—and you yourself into even more of a tizzy. !!! Mostly, I am able to coast along from day to day, cross stuff off my to-do list (I use a Stickie note on my Mac), save tasks for the next day. But every once in a while, WHAM!!! The sheer quantity of stuff that needs to be taken care of gets to me. 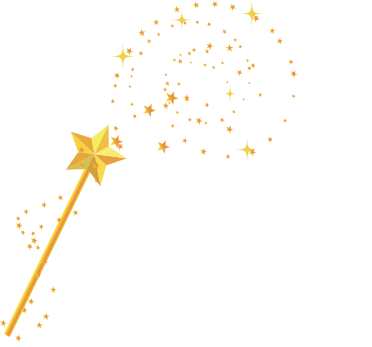 I really, really, really wished for a fairy godmother to swoop in, wave her wand and handle everything. And so I clicked my heels together and said "There's no place like home, there's no place like home and..." oh, wait, wrong story. School pic! With Max's trademark (but not yet patented) smile and a shirt that made him look like a linebacker and bangs that seemed like they'd been cut with a hatchet. And suddenly I was less grouchy. For all of 5 minutes, but still. The only remedy finally was to go to sleep early and call it a day, but not before I had dialed 1-800-FAIRY-GODMOTHER to order myself one. If you get through on 1-800-FAIRY-GODMOTHER, let me know. Those suckers have had me on hold longer than the IRS. It's not looking so good for me. Max is so handsome. what a picture!! I so agree! We all could use an Special Needs Fairy Godmother! 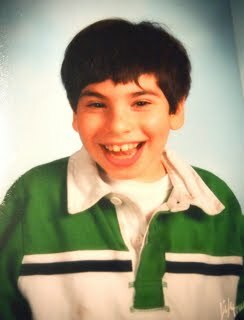 Love Max's school picture! His smile made me smile! My son has the same effect! He makes everyone around him smile! Yes, that photo is amazing. Love that smile and he just looks so handsome and happy. You really do have your hands full! As I got to your list about upcoming holidays I found myself crying...and it is your list, not mine. Love the school picture! I can guess that you have an interesting history with school pics as I do. Haley doesn't do the smiling thing. Sometimes I think the Amish are right, I can see a glimpse of Max's soul in that picture. And it is glorious! This is an amazing post! Max is so lucky to have a mom like you. You could BE a fairy godmother! "...and then they can turn around and melt your heart in all but two seconds =)"
This is when I wished comments have a "Like" button! SO true. Nisha and Melissa, thank you but if I were superwoman I wouldn't be sitting here yapping about how overwhelmed I felt by everything! I'd just do it and sing merrily as I went along! Abby, Max does have a beautiful soul. Surely it is purple, too. Haley's Mom: Yes, it's been a mixed bag for us whether or not the school photographer gets Max to smile, he never does it on command. Someday, I will share all of your praise with Max, but I wouldn't want him to get a big head. Although he does have microcephaly, so that wouldn't necessarily be a bad thing. Wow. I wonder how ANY mother does it. I ask my own mother how she did it all when we were little with a six year old, a three year old and premie twins. And then a little later dealing with the litany of my doctors appointments and therapists. Granted, my needs weren't as extentive as Max's are, but still-lots of juggling of schedules. Did I mention that on top of that she was a full time public school elementary teacher? Yeah...my sisters and I are convinced that she's an alien-android-human hybrid. Having said that, she gives me an answer only a mother would: "how did I do it? I just did, you find a way because it needs to get done, so you do it. Also, I was 30 years younger." How is it that we don't have a woman running the country again?! Awww, hang in there, Mama! Positive vibes your way that it all comes together swiftly and seamlessly. Edible rice paper?!!!!!! You have got to be kidding! A 3-step cake?! There are times when parents can be fairy godparents--I'd be in a real mess without mine! Surely you've got some place near you that does those stupid photo cakes? My crappy little supermarket does 'em. Heck, Super WALMARTs do 'em. Maybe you could just get a good pic of the CARS2 logo off the net, and a pic of Max, and photoshop the two together on your computer, and take that to the supermarket and have them put it on a sheet cake. I mean, really--cake is cake to kids. Make it nice and big--that's all they care about. If you feel a need to go "high end" spend extra on the ice cream. While you're at the supermarket, order one of those pre-made thanksgiving dinners---that's one item off the list--heat and eat! Good luck--hope you get that list of To Do things cleared up! Hilary, your moms words are ones I live by! I usually have that "It just needs to get done" mentality, as do all of us moms. And I couldn't agree more: Imagine how much would get done if we had a woman running the country! Felicia, thanks! I've since learned Dairy Queen makes these cakes, I think Carvel (not sure they have this chain by you?) makes them. But seriously, Max ONLY wants the EXACT cake that is pictured on the card he snatched from Cold Stone Creamery, the one that has been sitting at his spot at the table for weeks now. The kid has an amazing visual memory, he knows exactly how that cake looks, and he wants it. Anytime someone comes to our house, he shows them that card. He wakes up every morning and says "Cars 2 ice-cream cake!" And I need to get him that damn cake! I think I am going to have my sister-in-law buy it at the place he took the card from and transport it to his party. We'll put it on dry ice if we have to though by early December, it should be cold enough. omg, i'd pay big bucks for that kind of fairy. i often feel like i need a special coordinator to get me through all this stuff. i have a dog that has to be walked too often & during his walks, i'm usually on the verge of panic, thinking of all the stuff that has to get done (not being helped by the time I spend walking the dog). I have been so close to hyperventilating when thinking over my to-do list & often thinking at the same time about how stressed I am about being so stressed. Holidays have just become a huge source of extra anxiety - even minor ones. If I have to do any sort of extra shopping or socializing or cleaning, that's just another reason to get dizzy. Glad to see that I'm not the only crazy person out there.